Simone from Ms. Sparkle has created a Trolls inspired polish for the for Hella Handmade Creations (HHC) April launch which will be available on the Hella Handmade Creations website April 14th - 21st. 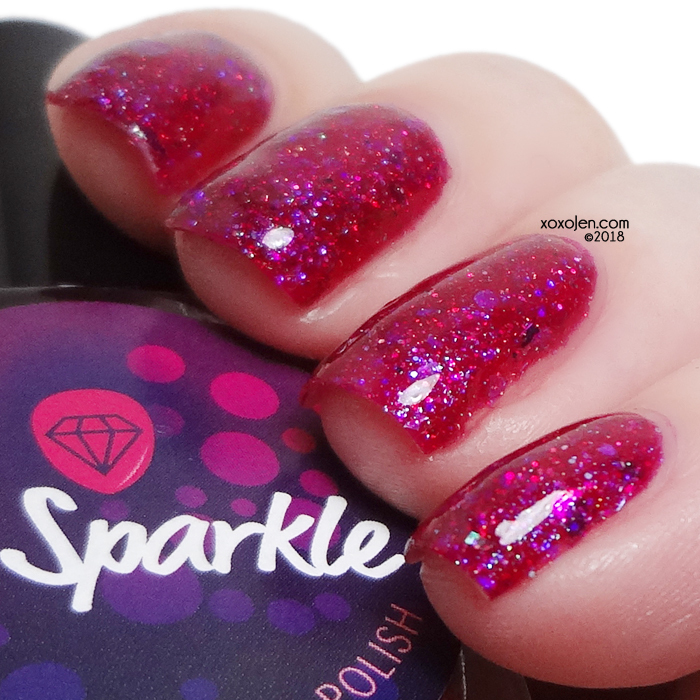 Bright berry pink jelly filled with holo, aurora pigment for the blue/greenish shift, iridescent micro glitter and hexes and unicorn flakies that shift from blue to green. Super vibrant raspberry shade! The polish is slightly more raspberry-ish and vibrant than my photos can show. Two coats, formula was good. Is this on your wishlist? Available on the Hella Handmade Creations website April 14th - 21st. See more swatches and join in the fun at the HHC facebook fan group!